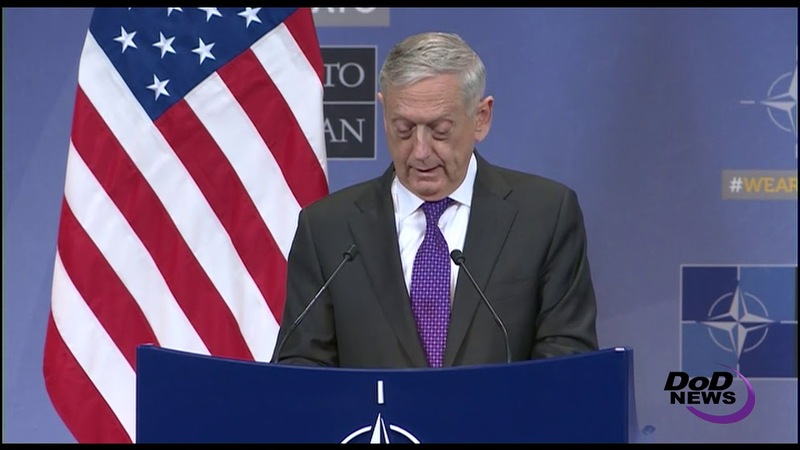 NATO defense ministers agreed to continue projecting stability beyond its borders and will continue to build capabilities within the alliance, Defense Secretary James N. Mattis said in Brussels today. 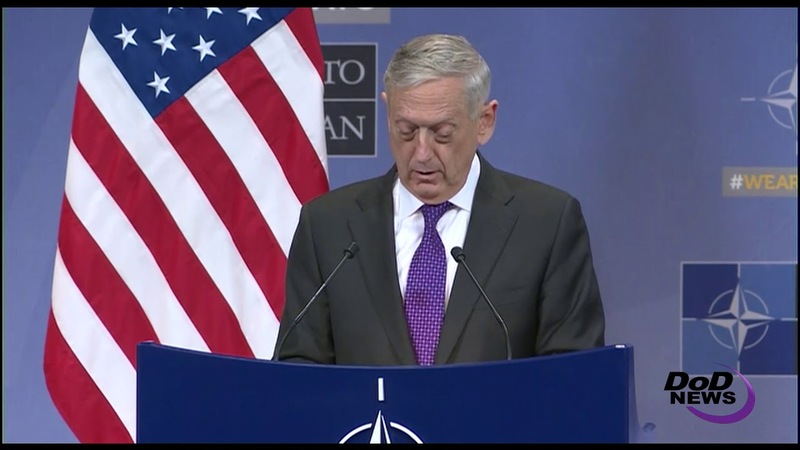 “In a world awash in change, NATO stands firm as an island of stability in a turbulent sea,” Mattis said during a news conference at the conclusion of the meeting. Projecting stability requires the alliance’s political stance to be backed by military forces that are fit to fight, the secretary said. This will reduce the chance of miscalculation by any adversary. NATO, he added, must continue to adapt to the changing times and changing capabilities of any adversaries. During the ministerial, the defense leaders discussed the recently published U.S. Nuclear Posture Review. Mattis said that many allies had been consulted on the study. Mattis was pleased on discussions about burden-sharing in the alliance. He noted that alliance nations have increased defense spending and are working on improving “the culture of readiness.” This will provide ready forces that will be responsive to NATO’s political direction. The alliance must make political decisions faster, adapt the command structure and accelerate military mobility in conjunction with the European Union, the secretary said. A total of eight NATO nations will meet the target of spending 2 percent of gross domestic product on defense and 15 nations will hit that mark by 2024. Mattis noted that France is forecasting hitting that level in 2025. “Year-on-year across the alliance, 2017 saw the largest growth … as a percentage of GDP, and the largest real growth in a quarter century,” he said. This has added $46 billion to defense across the alliance. NATO is a member of the global coalition to defeat the Islamic State of Iraq and Syria, and defense ministers agreed to remain committed to the immediate and longer-term missions in Iraq. NATO is also a stalwart part of the mission to Afghanistan and the ministers committed to filling critical shortfalls in the staffs.